In home Hearing Testing, Hearing Aid Services, and Hearing Protection Solutions in Bloomington, Indianapolis (Castleton and North West), Greenwood, New Castle and Avon, Indiana. A better life is underway with the convenience and practicality brought to you by Community Hearing Health Centers in Greenwood, Indianapolis, Bloomington, New Castle and Avon, Indiana. 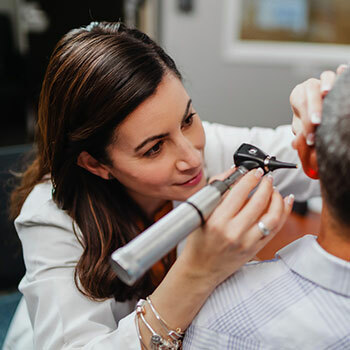 Our company provides a complete range of audiological services to improve the way you appreciate and receive sound, no matter what kind of hearing difficulty you may have. From in home hearing testing to providing the most ideal hearing aid and protection services, you’re in good hands with our professional team working through your hearing specific hearing needs. Our audiological services and products are available to you at a range of reasonable rates that best fit your budget. For more information about our hearing aid solutions or to get a free in home hearing test, contact the various offices of Community Hearing Health Centers in Indianapolis, Greenwood, Bloomington, New Castle and Avon, Indiana.